A student moves into a run-down building in New York City. His bizarre neighbours make a concoction in their apartment they call wine, but when he takes some of it, he turns into a deformed, murderous monster. It's because of films like this that I love low budget Horror so much. Would you just take another look at that one-sheet, isn't it incredible! I seriously miss the old school covers and really do wish they would make a comeback. When it comes to the lower end of the budget scale in film territory you can always guarantee you'll be entertained, whether it be the practical effects, funny dialogue or even just the nature of the film itself. 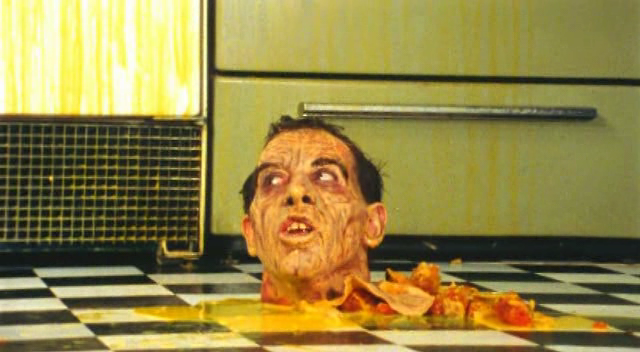 Fortunately for us this film has it all and in abundance, especially if you're a fan of do-it-yourself gore. It takes it's cue from the then-popular body melt movies as it was cheap to do but very effective. This is a trashy film, but what's wrong with that?! As a Horror fan I've found that the trashier can be better and who doesn't enjoy a film like this from time to time. 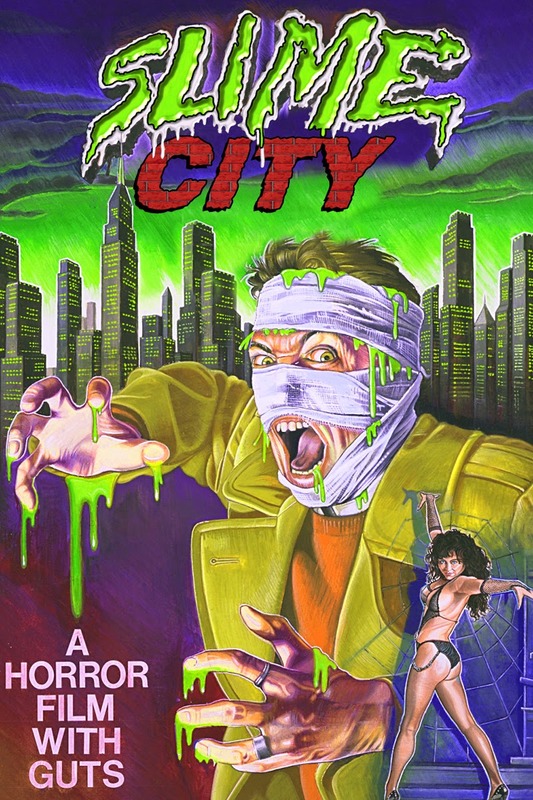 "Slime City" is not for everyone but if you can give it a try you might just enjoy it.